It seems the germy season is upon us with lots of little ones, including mine, coming down with all kinds of lurgies. At our place it’s currently The Dude’s turn – he’s been asleep for almost 24 hours and hasnt eaten for just as long. 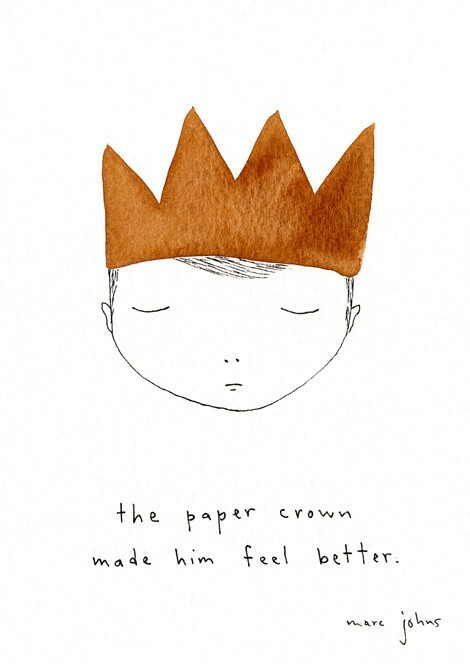 Inspired by this beautiful Marc Johns artwork I’m going to make him a little paper crown for when he does finally wake up and hopefully start to feel better. It will only take me a minute to make but is sure to put a smile on his pale, sad little face! As many of you are possibly in the same situation right now, I thought I would share the idea along with some more inspiration just in case your sick ones are not bed ridden and cabin fever is starting to set in. 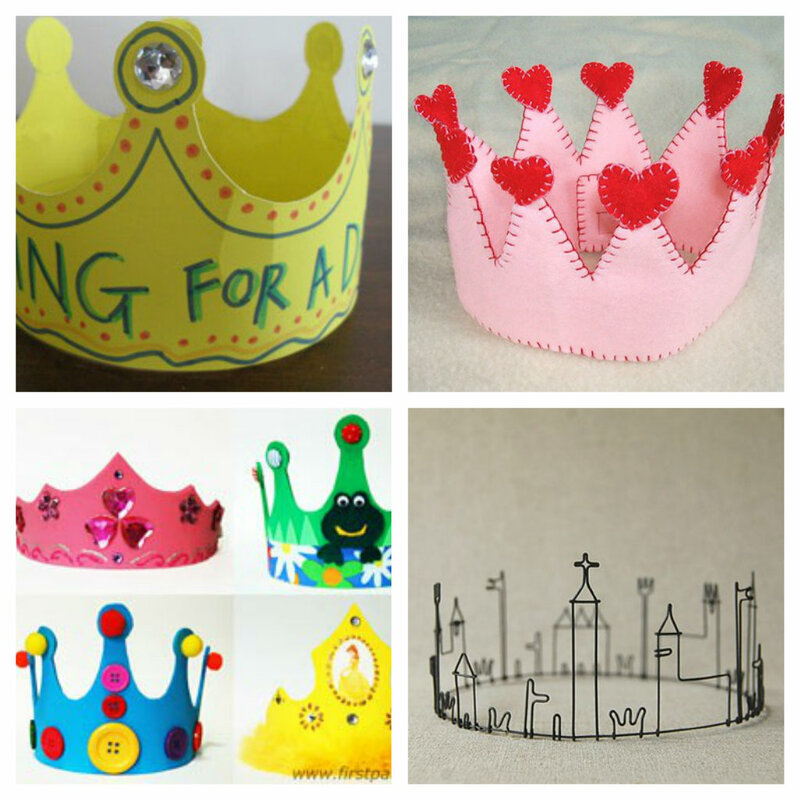 Everyone loves a crown and even sick kids like to rule an empire every now and then. And the best thing is they are super dooper easy to make (even if you are not a hands on mama) and I am SURE they work just as well on girls as they do on boys. This entry was posted in family stuff and tagged costume, craft, create, crown, dress up, king, princess, queen, sick by rudyandthedodo. Bookmark the permalink.